Following the Labor Party announcements on electric cars, I was on the open line talkback with Jon Faine at 774 Melbourne Radio this morning talking about electric cars. I suggested incentives for electric car adoption as long as it was paired to new solar rooftop panels, and that Australia should be manufacturing electric car batteries. Jon and I disagreed on a few things. There is little time for nuance on talkback so I thought I would write this letter to put more detail around my expressed views. · I believe that the vast majority of car buyers in Australia will not buy an electric vehicle until they have the model they like, at the same prices as the fossil fuel version. · I believe that will happen between 2025 and 2030 based on falling battery prices for electric cars. · I believe that the car manufacturers unless pushed to do otherwise will keep margins high on electric cars, particularly in Australia while satisfying high volume demand in other countries. · Even after electric cars reach price parity there will be a significant group of late adopters for a variety of reasons (including “the model I like is not available yet” “I just bought a new fossil fuel car a year ago ” I am a committed petrolhead”, I do not have good charging facilities where I live”, “my trips are too long”, “we are a two-car household, so we will buy an electric car for city driving and have a fossil fuel one for longer trips”). · Government policy and incentives should be about providing boundaries, direction and incentives to harness the power of the competitive market to deliver outcomes for general community good. At the same time as reducing or eliminating the problems of capitalism such as pollution and inequity. The market is a great servant, a poor master and a terrible religion (I forget where that comes from). · Government should only interfere in the marketplace where there is a significant market failure. This can include research, early adoption of new technologies, incentives for innovation and risk-taking, etc. Having stated that I think there are two different but related areas on electric cars where government policy can change to deliver community good. One is on the consumer adoption and the other is on the supply chain side for manufacturing. If we are talking about accelerating the adoption of electric cars by more consumers buying them, then that is not really our objective. Our objective is to reduce pollution from vehicles on our roads and to reduce our imports of fossil fuel. Those are our purpose. Electric cars are only the method of achieving our purpose. There is also significant carbon dioxide produced in the generation of energy to charge electric vehicle batteries. This excellent graph compares this in the EU. The significant differences between countries are based on the electricity generation system in each country. In Australia, the electricity grid has a carbon emissions density of about 0.90 (based on AEMO and Government Greenhouse Gas Factors Reports). That means that 0.9Kg of carbon dioxide equivalent is used in delivering 1 kWh to a customer. 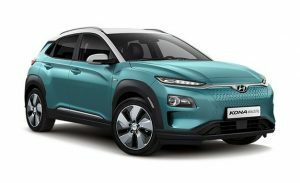 The Hyundai Kona electric version which is coming to Australia soon has a range of 449Km on a 64Kwh battery, so it drives 7km on 1kwh. That means it takes about 129 g of carbon dioxide equivalent to move the vehicle a kilometre if it is charged on the grid. In Victoria, that number is higher because we are dependent on brown coal for the majority of our electricity production. The Kona number compares to a 2016 Toyota Corolla Hatch (my car) at 152g/km. To be fair the Corolla number does not include the carbon emitted in getting fuel from the ground to the petrol station, so the real number is a bit higher. On the other hand, the 2019 Toyota is more efficient so its emissions at tailpipe are lower. It is also true that the electricity grid will improve in carbon intensity over time, lowering the amount of carbon per kWh. It is a long and complicated story to get a detailed and accurate figure on carbon. The point here is that while an electric car may be better it is only marginal if charged on the existing grid, and we still have the battery manufacture carbon to make up for. Now I can hear in my head many a reader jumping up and down and yelling that they charge their electric car from their solar rooftop energy and so there are no emissions. That is a fallacy. I am a big fan of solar rooftop power and we have enough panels installed on our house that we produce more solar power in a year than we use in total. In winter we draw from the grid but in summer we put a large amount in. So, we are net contributors to the grid. Even so, if I buy an electric car tomorrow and charge it at home when we have spare solar production, then that action still produces carbon. That seems a stupid statement on first look, but it is correct. The effect of me directing energy into a car battery and using it to drive is that the energy I was pushing into the grid now has to be produced somewhere else. In our Australian system that is almost 100% likely to be from a gas generating plant as they are the buffer in our system between baseload coal generation and renewable energy flows. Gas generating plants produce carbon. They are better than coal but when we factor in natural gas leakages it is not hugely better than coal. Which brings me to the policy proposal that I stated to Jon this morning. I proposed that we shut down the existing solar subsidies for rooftop solar and direct them into an incentive program for people who buy an electric car and install new solar on their rooftop at the same time. This would have the advantage of pairing new solar energy production with the electric car purchase so no carbon would be used in powering the vehicle. This would shift the curve of adoption earlier (people would buy electric cars earlier than they would otherwise) and reduce carbon and particulate emissions far more rapidly, which was the policy goal that I started with at the beginning of this article. It also improves the balance of trade by reducing fossil fuel imports. In addition, some of the newer models of electric cars such as the third generation Nissan Leaf also have bi-directional charging so you can use your car battery to store energy for your house. This helps the grid. If we matched the incentive to a solar panel level that would run a normal vehicle for a year  that would be about 2kw of panels. Future proofing the household/location for 2 vehicles and adding enough for the car to act as household storage would mean 6kw. That is where I think the incentive should be targeted. People will complain about the removal of subsidies for rooftop solar. The reality is that rooftop solar is already commercially viable for houses without subsidies. We put our system in about 15 months ago and it has returned 14.72% on the investment. You do not get too many low risk investments like that! That is on a system that does not have the best roof orientation and in an area that has pretty low energy tariffs so other people will be getting better returns. That return is helped by the subsidies that we received but it was still viable without them. Governments subsidising mature technologies that are viable without those subsidies does not seem to make much sense to me. The paired electric vehicle and rooftop solar incentives are different. They bring forward the time when the technology is economically viable and increase initial adoption. The incentive can be targeted to finish once adoption reaches a certain level, for instance, 11.5% of new vehicle sales. Or they can be targeted to certain price points of a shopping basket of models so once the price of new electric cars falls far enough the incentive is removed. As well as bringing forward carbon and particulate emissions reductions, a critical mass of 10–11.5% of new car sales also acts as a demonstrator group to the rest of the market. They demonstrate that electric cars are normal, that batteries last, that charging is easy, and there are cost savings involved. They also establish a liquid and large-scale second-hand market that eases the uncertainty of second-hand prices which is one of the uncertainties in people’s minds when they buy a new car. So, we achieve good policy outcomes while using the market to drive the change and by repurposing existing subsidies. On the supply chain manufacturing side of the equation, I suggested that we should be investing in electric vehicle battery manufacturing rather than car manufacturing. Jon is very keen on re-establishing car manufacturing and I did not get the time to say to him that because batteries are such a large part of an electric vehicle, manufacturing batteries is actually manufacturing cars! · Given our car market size and the fractured nature of that market we do not have the domestic scale on to which to base a large-scale manufacturing business. · Given that the whole world is moving to electric cars there is no way that a large-scale manufacturing business is going to establish a new fossil fuel vehicle manufacturing plant in a small market a long way from other markets. By the time it was built and running the age of the fossil fuel vehicle will be nearly over. · Given our very low uptake numbers of electric vehicles to date it is unlikely that a large-scale electric car manufacturing business will set up here in the near future. · Car manufacturing requires long-term large-scale subsidies due to the way the industry is structured around the world. While I am a believer in targeted short-term incentives as described above, I am against ongoing subsidies for mature businesses and products. · I think it is many times more difficult to bring something back once it has gone than to keep it going when it is here. We have no car manufacturing of any scale any more. Reviving it would be a herculean task. · We accelerate electric car adoption locally with targeted policies aimed at pollution reduction. Thus creating a larger domestic market earlier. · We build a capacity to manufacture electric batteries in Australia, forming the base for a vehicle manufacturing industry to build on if it is possible. 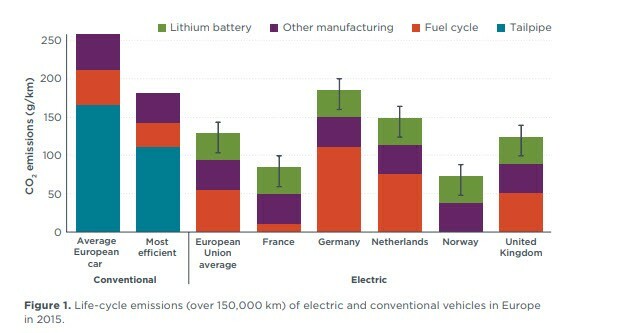 And manufacturing batteries is manufacturing electric cars as batteries are a far bigger percentage of the car value than engines are in fossil fuel cars! I am writing a book on various adoption scenarios for electric cars in Australia based on customer profiles, supply and demand constraints, and government policy. I am happy to come on Jon’s program for a longer discussion on these issues, either by interview or on The Conversation Hour when my book on scenarios for the adoption of electric cars is published. Note: While I am Chair of the Future Business Council’s (FBC) Policy and Research Advisory Committee the views in this article should not be interpreted as the views of the FBC. Note: I do not own an electric car. I am an economically rational buyer of motor vehicles. I will buy one when they make economic sense and I am happy to add to our solar system to charge it when that happens. Note: I am well aware that there are other policies that can be implemented for electric cars such as planning requirements for charging capacity in new high-density developments, and public support for charging networks that are otherwise non-viable. 15,000 km at 6.5km per kwh would require 2,308 kwh of production which would be covered by about 2kw of panels in most cases for a single vehicle.